If you’ve been running a while, the challenge of running a 5k race won’t be so much around the distance but about the speed you’ll need to run. For this reason it’s vital to have a warm up routine that gets you ready to roll and firing on all cylinders from the gun. The following warm up routine will take 30 minutes or more so be sure to arrive to your race in plenty of time. 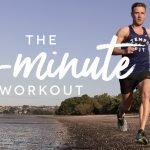 Warm Up Jog: 15mins jogging (or less if you feel you will be too fatigued to complete 5k). Strides: Then run 3x50m strides (fast controlled runs a little faster than your 5k race pace) in order to get your body into the zone to run your best 5k. Time to finish the strides with 5 minutes until race start time. 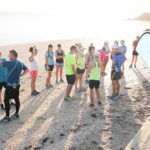 Find your place on the start line, check your shoes laces are double knotted and your GPS watch has found a satellite, and continue with dynamic stretches to stay warm. Calm the nerves by chatting to runners around you and, most of all, enjoy the moment—celebrate the feeling of being healthy and alive! Tip: This warm up is ideal for any races 10k or less to have your body fully primed and ready to roll. For longer events some light jogging or walking plus the dynamic stretches is usually plenty. 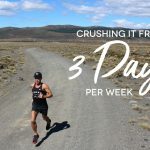 This entry was posted in Training Tips, Uncategorised and tagged 5k races, exercises for runners, running, running coaching, strides, warm ups for runners. Bookmark the permalink.